Read the model number on the back of your watch case. Skagen model number are often very small, so you may need a magnifying glass. Skagen model numbers are always composed of three numerals followed by several letters. Enter then the model number in our search mask („Find product“) above right. Even one differing letter or one differing numeral can lead to a completely unsuitable strap for your watch. Please make sure that you have entered the right number in the search mask by checking the one on the watch case once more. Model numbers that are easily confused are for instance 331XLSL and 331LSL: a replacement strap for 331XLSL does not fit a 331LSL wristwatch. Unfortunately, the risk of mixing up different model numbers is high, therefore it is worth to compare the reference on the watch case with the displayed search result again. In case of doubts, if the model number is not an exact match or if the search has not produced any result, please contact us. You can use our contact form. Then we will gladly send you a link to the suitable item. If the model number entered in the search mask is correct, you will see all straps that suit your watch. Please consider the desired material as well: for example leather, stainless steel, silicone and so on. For some Skagen watches there are straps made of different materials. Please also consider the desired colour, since some replacement straps are produced in different hues. Select now the item corresponding to your watch model number, as well as to the desired material and colour. Then just follow the ordering process in our shop. If you do not find any strap corresponding to your model number, please contact us. 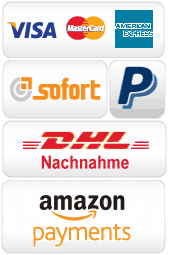 Through our contact form you can send us the model number of your watch, as well as the colour and material of the desired watch strap. We will then be able to contact the manufacturer and to order the watch band for you, if it is deliverable. . Please note this important information: even if a photo of the item is available, you should compare the result of the search with your model number anyway. It is often not possible to identify the right Skagen strap with the photo alone: watch bands which look perfectly alike might have slightly different measurements, and therefore might not be suitable for your watch model. The model number is always decisive to find the right original replacement strap. Besides, we suggest reading the description of the item carefully before proceeding to buy the Skagen replacement strap. We have reduced them as much as possible, so that they contain only the essential details. Particular features of the replacement for your model are expressly mentioned in the text. There are models with straps held in place by spring bars or by screws: in such a case as this, we point out expressly that one should pay attention to the fastening. If your watch band does not have this characteristic, this is not found in the item's description: your watch band can be fastened only in one way. To summarize, there is not much that can go wrong if one pays attention to the right model number, the material and the colour of the watch band, to the colour of the buckle (if necessary) as well as to any special characteristics (only for a few models). The look of a strap may deceive, especially considering that many items are so similar that one can barely tell them apart. 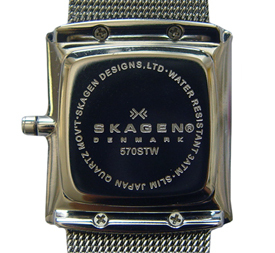 Only the original watch band can suit your Skagen watch, since this has a special fitting. In order to avoid mistakes, the model number is always written in bold type: when you compare it again with the number on your watch case, you can be sure that you have selected the original replacement.